The Tallmadge Little League Challenger Division is seeking players and buddies! This inclusive baseball program is designed for boys and girls with physical or developmental disabilities, and their typically developing peers. Individuals age 4 to 22 can participate. All players bat and play defensively every inning. Games usually last about 1 hour and no score is kept. Volunteer Buddies assist players as needed (Buddy info listed below). Practices start in April 2019 and the season ends at the end of June 2019. 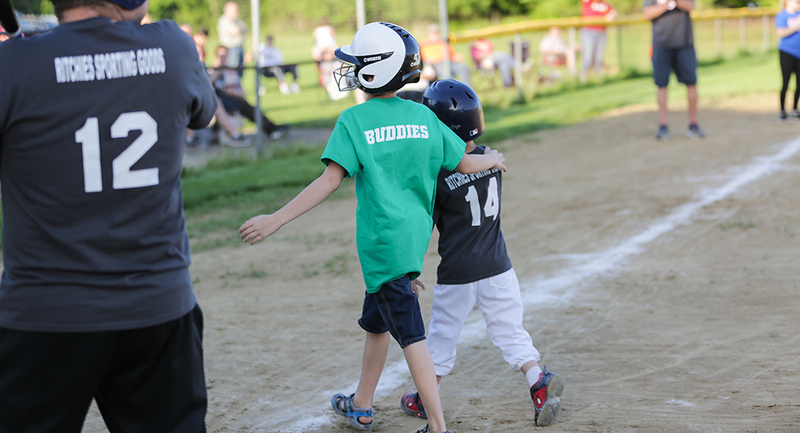 Buddies are volunteers who assist players with batting, fielding and running bases. Buddies need to be at least 12 years of age. You DO NOT need to be a Tallmadge resident to participate. Please reach out before the player/buddy deadline on March 15, 2019. Be sure to check out this fun story featuring a Challenger Division player named Cory!